Parking and Wheelchair Use Accessibility parking is available at the visitor parking lot. There is a quarter mile walk to the fort from the parking lot to the fort. Shuttle service is provided from the parking lot to the fort by using a phone from a yellow box located at the shelter area. The trail is hard-surfaced and wheelchair accessible if you want to travel to the fort on your own. The instructions on use of the phone are in the box. A cart will arrive at the shelter in a few minutes. 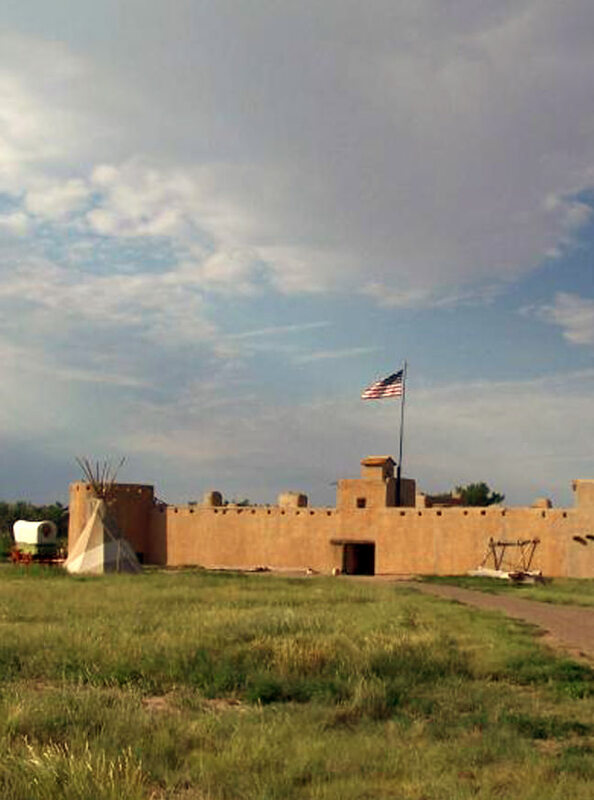 After your visit at the fort, contact a period clothed ranger for a ride back. Wheelchairs are available for your use at the fort. Fort Accessibility Most of the first floor of the fort is wheelchair accessible. A hand-held player with a tour of the second floor is available.Just ask at the fee area. Documentary Film A 20 minute documentary film with caption and visual description is available for viewing next to the fort fee collection room. Service Animals Service animals are allowed anywhere in the park. * Entrance fees are free with America the Beautiful Pass. Pass may be obtained in person at a federal recreation site or through the mail using the application form. The cost of obtaining an Access Pass through the mail is ten dollars ($10) for processing the application (the Pass is free). Applicants must provide documentation of permanent disability and residency or citizenship.